"I wonder how a non-physicist would understand the excuse that "string theorists aren’t trying to do phenomenology"." Well using the Wikipedia definition, this non-physicist says string theorists are not doing science. I think some non-physicists have been suspicious of string theory for a while, but it seems to be defended very effectively. "I fail to see that string theory has anything to do with quantum gravity." Let me try to explain. One of the most important theoretical breakthroughs in physics of the past thirty years was the development of something called the holographic principle. This principle basically says that any description of gravity on a (D+1)-dimensional spacetime manifold is equivalent to a quantum field theory on the D-dimensional boundary in the sense that there's a "dictionary" for translating between the two theories. 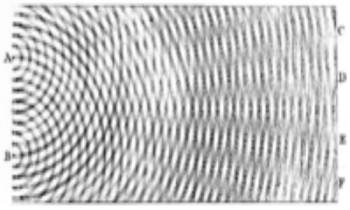 Over the years, physicists have developed many concrete models of the holographic principle, particularly in the contexts of string theory and pure (2+1)-dimensional quantum gravity, but it's important to realize that the holographic principle is a very general mathematical statement about the gravitational field which is independent of the particular features of these models. The reason string theory is important is that it provides concrete realization of the holographic principle and serves as a useful toy model for testing out ideas about quantum gravity. "String theorists nearly always assume that no gravity is present." I'm not sure why you're still saying this. We've had this discussion before, and I explained that it is not true. "They do not quantize gravity." 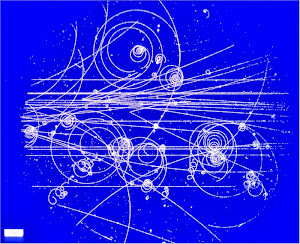 String theory is not a naive quantization of the Einstein-Hilbert action based on the usual prescriptions of quantum field theory (this approach leads to a non-renormalizable theory), but it is definitely a theory of quantum gravity in the sense that it is a consistent quantum mechanical theory which reproduces ordinary general relativity on large distance scales. "Someone might ask how one could be a scientist and not care about phenomenology." Of course all scientists should care about phenomenology, but that doesn't mean that all scientists have to work on phenomenology in order to contribute something of value to science. Some theoretical physicists, such as string theorists, work on more mathematical problems. They develop new computational techniques and explore the mathematical relationships between different theories. The previous commenter is correct in saying that this sort of work is not science per se, but that doesn't mean that it doesn't have important applications in science. "string theorists have never been able to relate their theories to phenomena, so they ignore phenomena." Here you have to distinguish between the different applications of string theory. If you're thinking of string theory as a theory of particle physics, then it's true that string theorists have been unable to use their theory to make predictions at accessible energies. But the statement that string theory is unrelated to real-world phenomena is completely false. For example, string theory is one of the most important tools for understanding ordinary quantum field theory at strong coupling. A few years ago, it was famously used to compute the viscosity of the quark gluon plasma, an exotic state of matter produced in particle accelerators, and the string theory calculations were in good agreement with observations.